Jingle Bingo Review - 300% bonus on 1st deposit!! If you’re like Mobile Bingo Bonuses and you love the thought of tinsel, Santa and presents, then do we have a treat for you called Jingle Bingo. This colourful and eye catching site will bring nothing but excitement and a general feeling of yuletide joy. Add in the fact that you can play high quality games on your mobile and tablet devices, meaning you can access Jingle Bingo whenever your heart desires! 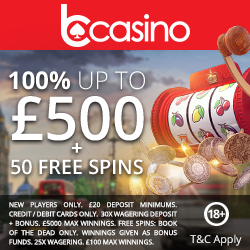 With a huge choice including 75 ball and 90 ball bingo games, scratch cards and featured slots, you’ll never be bored again! Those bingo gifts being from the moment you make your 1st deposit, because Jingle Bingo give you a 300% cash match bonus on £10. This means you’ll receive £30 in extra credit, or a grand total of £40 to game with. To make it even more interesting you’ll receive the bonus as 150% bingo bonus and 150% games bonus; so you get the best of both worlds. Even after the initial stocking fillers are gone, you’ll enjoy the regular promotions. You can win bonus spins, cash back or a share of 2 million loyalty points. 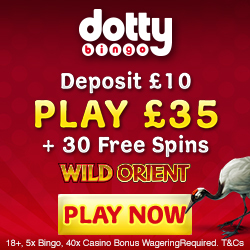 There’s even the refer a friend scheme, where for each friend who registers and deposits you’ll receive £10 bingo bonus credit. There is a 15 referral limit per month, but £150 extra is more than enough to enjoy yourself. Jingle Bingo even love to reward those regular players, with their loyalty scheme. You simply play your favourite games and you’ll collect 12 jewels for every £1 wagered. The more jewels the higher the level you’ll reach, with the scheme having 4 levels (bingo rookie, bingo pro, bingo master and bingo champ). Each level offers bigger and better the rewards such as cash back, bonus spins and extra tickets. For those of you who love making new friends, then head over to the Jingle Bingo chat rooms and play their amazing chat games. If you need any additional support you can contact a Jingle Bingo representative via email or telephone. They also provide an FAQ section to cover popular questions raised by previous roomies. Jingle Bingo accept the usual banking methods including Credit and Debit Cards, Entropay, Paypal, Paysafe Card and Neteller. To join Santa and his friendly elves, simply head over to Jingle Bingo to claim the 300% bonus.